Spring Festival 2009 is kaput. 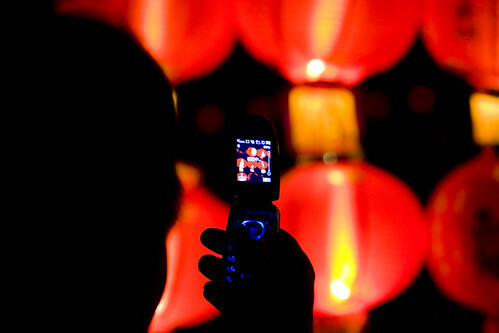 With last night’s full moon, the Lantern Festival (元宵節) marked the end of the traditional Lunar New Year celebrations. Last year I was unprepared for the crush of humanity trying to get to the various venues to see the lanterns. This year, I knew what to expect. I walked into the fray, mingled for a few hours with hundreds of thousands of folks around the city and then battled my back way out. It was an amazing night, made so much nicer by the unseasonably warm weather. You might remember that this time last year it was bitter cold! I made it to People’s Square where thousands of lanterns were on display. I got bounced around like a pinball for a while as I tried to get in close without losing any of my gear. The lantern displays were cool but the throng of people was stifling, claustrophobic even. There was no way I was gonna’ change a lens or even put the camera on a tripod in that crowd, so I made do with the 70 – 200mm and bulled my way through. I took a ton of photos and eventually began to work my way back against the crowd toward home. It was then that I noticed a second large mob gathered down by the river. It was an amazing sight. 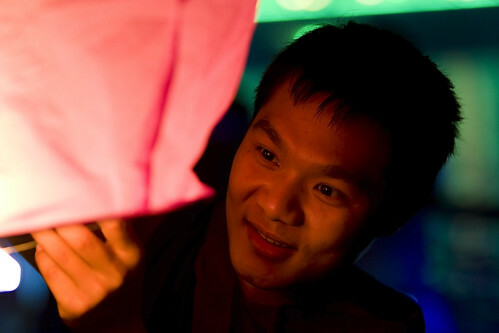 Thousands were lined up on the banks of the Liujiang, releasing paper lanterns into the night sky. The atmosphere was positively electric. 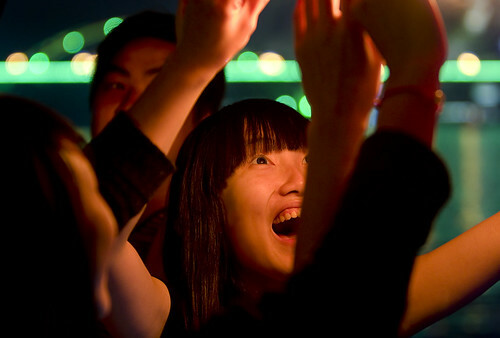 Generations of families huddled close together, lighting their lanterns amid the blasts of fireworks and firecrackers and the neon of the surrounding buildings and bridges. It was sensory overload. Speaking of firecrackers, they were MUCH more prevalent this year than they were during the 15 days of last year’s Spring Festival. For the past couple of weeks, deafening explosions have rocked my neighborhood at decibels usually reserved for a war zone. The cacophony often lasted until 3, even 4 in the morning. I am not sure why exactly but, as I said before, it is much warmer this year so I guess people were more apt to be out and about. Anyway, now that Spring Festival is over I hope to be getting back onto some kind of regular sleep schedule before the next semester starts. ~ by Expatriate Games on February 10, 2009. 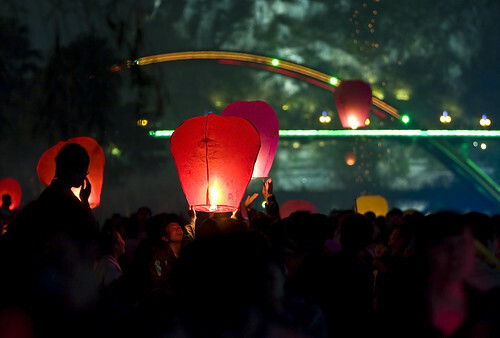 It kind of reminds me of the floating lantern festival during summer here in Japan. 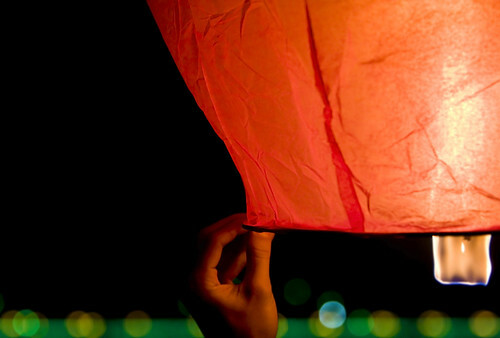 Something really serene about night fall and thousands of lit lanterns floating down the river…. The Liftoff! Photo Op is perfect! You captured the emotions really well! Gorgeous and wonderful “RED” images. I can *feel* their joyous expressions. Well done! Thanks Ron, coming from you that means a lot. Great expression on the last shot.